What were some of your favourite January 2015 foodie and otherwise discoveries? Share your top finds in the comments below. Okay, I know it’s summer only in the Southern Hemisphere… I hope the rest of you, dear readers, are keeping safe from snow storms and blizzards. Stone fruit is what summer is all about. Plums for Spelt Streusel Cake – but you could use lightly stewed apples or pears out of season as well. 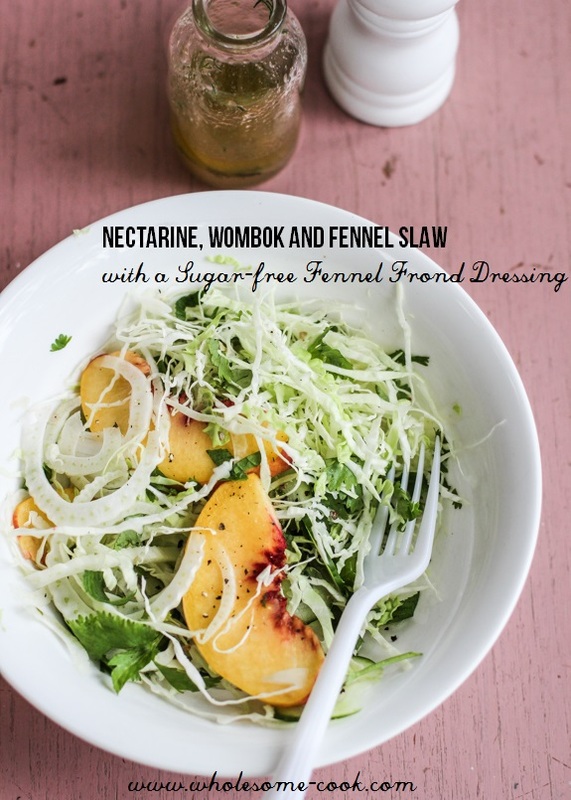 Nectarines and peaches enjoyed on their own, with yoghurt or in this little Nectarine, Wombok and Fennel Slaw (see below). Cherries to make into Cherry Ripe Bites, lychees which are now in peak season and mangoes. We are loving mangoes at the moment. Fresh, frozen into pops, pureed and eaten straight from the cheeks. This salad served 1-2. You can add some goat's cheese to the mix or grilled halloumi for a salty flavour dimension. 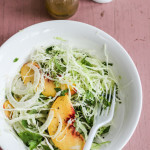 Perfect summer salad. Mix all ingredients in a bowl, then enjoy on your own for dinner or share with your loved one as a light supper. Fit Mixes protein balls because they are easy to roll and taste delish, no nasties added. Parker’s Organics Kombucha which the kids now have diluted with water instead of any other fizzy drink. It’s fermented and great for the gut. Raspberry and Ginger are our faves. Mayver’s pure state spreads because they are so good. Fine Fettle Flats – how did I not know about these veggeful crackers. Free from gluten, dairy and fake oils. Honest to Goodness vanilla powder because it gives flavour without additives and has those signature black vanilla specks. Speaking of which… The Wholesome Mum is giving away $500 worth of their products (ends in 5 days). 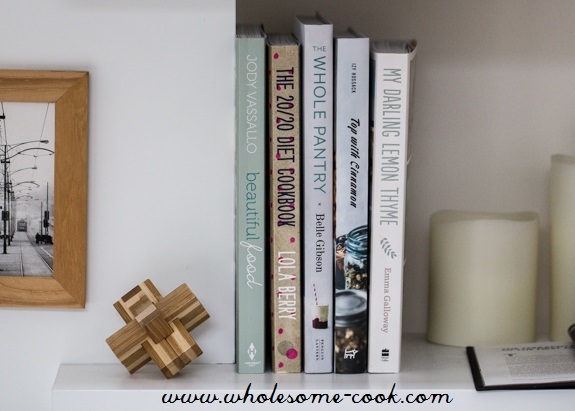 Gluten-free: Beautiful Food by Jody Vassallo because it follows the philosophy that everyone is different based on Ayurveda – I will be sharing a recipe and interview with Jody soon. Emma Galloway’s My Darling Lemon Thyme cookbook for anyone looking for a fab, tried and tested gluten-free cookbook and lifestyle guide. Paleo inspired: Lola Berry’s The 20/20 Diet Cookbook – not so much for the dieting part but for beautiful Paleo-inspired recipes. Indulgent: Izy Hossack’s Top with Cinnamon cookbook because it’s written by a super talented 18 year old and is wonderfully easy to follow. The photos make me want to eat the pages. 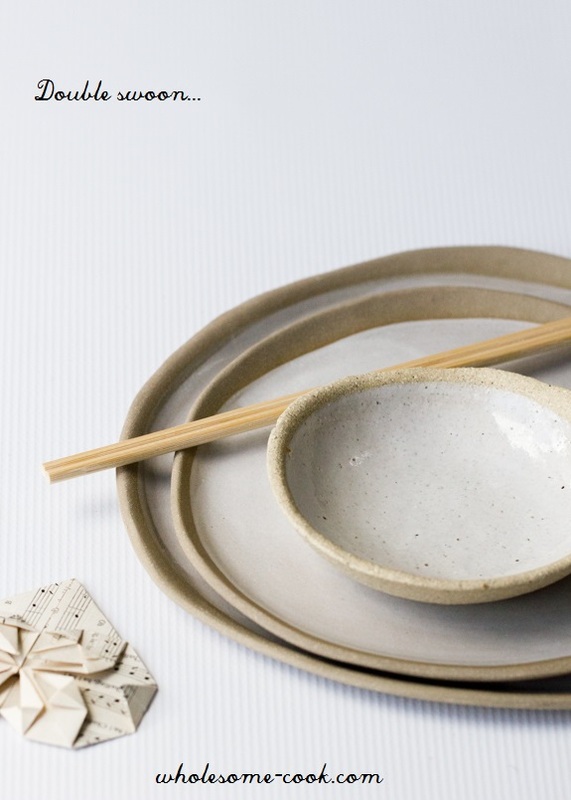 I’ve also been lucky enough to see Kate Bradley’s first cookbook, Kenko Kitchen, which is coming out this week. 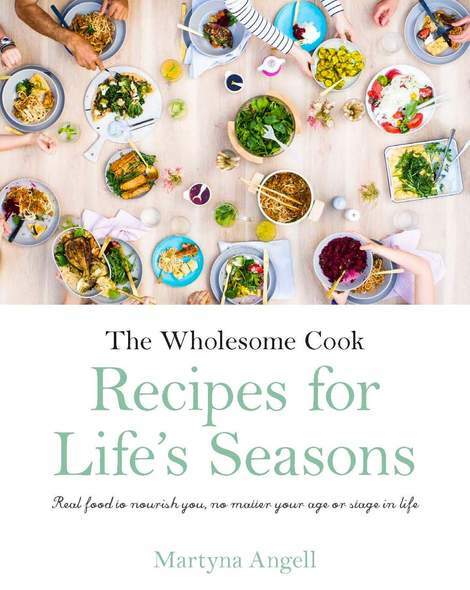 It’s a beautiful collection of gluten-free, vegan and processed sugar-free recipes. Available in stores this week. Butter and Brioche for all things indulgence and beautiful photos. Dancing Through Sunday for simple everyday nourishment. Pure Ella for inspiring stories and healthy living tips. La Gallette because at 17 this young lady is super talented! What were some of your favourite January 2015 foodie and otherwise discoveries? Which blogs should I be reading? Share your top finds in the comments below. Yum! That looks great. I have discovered pink grapefruits recently (can you believe it?) and am loving the bitter sweet flavour. Also Mayver’s spreads on your recommendation. So goood. Thanks for linking out to our giveaway. Hopefully one of your subscribers is the lucky winner! I’m definitely going to give that salad recipe a go. I love white nectarines. I’m loving peaches and cherries at the moment…can’t get enough of them. Most mornings you’ll find me diving into a bowl of yoghurt topped with these two beauties. Love your images Martyna – Nice minimal, clean style!